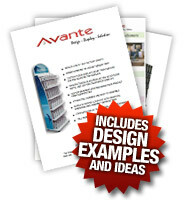 Avante POP Displays has been a leader of POP Kiosk manufacturing since 1989. Our customers are always assured of quality work at prices they can afford. We will work with your ideas and budget to create an engaging and persuasive environment that is conducive to sales. All Avante POP kiosk manufacturing consists of in-house production. This means that you have more time to focus on your needs instead of taking production from company to company. Production is often overlooked in this industry. Anyone with experience will tell you that the durability and value of display is not solely in the design. Production quality means the world when you’re dressing your signage for lasting results. Imagine choosing an outfit for your top salesperson to wear to every meeting over the next two to five years. Imagine the importance of this selection in terms of overall performance. Everything from polish to wear and tear must be considered… and our signage is built with both polish and lasting performance in mind. We approach each client with our full-service belief that we have the winning ideas to design and build a powerful kiosk for any product. Not only are the results stunning from a design standpoint… they’re also highly successful with their ability to perform, educate, and persuade. At Avante Kiosks, we think of everything: aesthetic appeal, durability and ease-of-use. 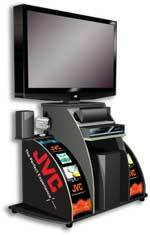 Our kiosks are simple to install and able to withstand prolonged use. The environment matters to us for a number of reasons, and for this reason we do everything we can to create our displays with the environment in mind. Our production team stays up to date with the eco trends in order to remain an efficient, responsible, cost effective manufacturer. Table top retail kiosk, podium retail kiosk, sink retail kiosk or tower retail kiosk. Choose from the vast variety of styles we have to offer. Know that you can always count on us for on-time, within-budget solutions. Call 250-497-5110 or 1-877-407-8655, request a custom quote or download our brochure today for information about our kiosk manufacturing.